NOTE: In the mean time, you can also visit this page for a general list of Mercedes-Benz articles. I bought a used ML500 with AMG sports package. The car looks great but is there any more to it than looks? hy i want buy a parts amg for my slk 170 it’s possible? Yes, you can buy parts for an AMG SLK. Your local dealership is likely your best bet. Performance parts are also available from independents. i got 1960 M.Benz 190 from a friend , the car in a mint condition, i did not find the location of the VIN no. any help? The International 190SL Group has a library of info for the older 190’s. 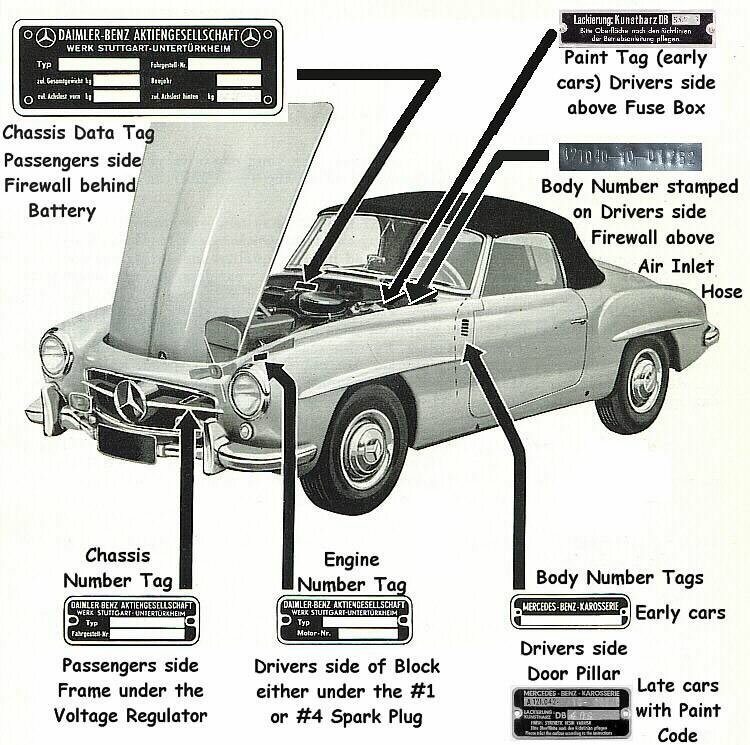 Here’s a link to a picture showing the locations for the Mercedes-Benz 190SL VIN: 190SL Vehicle Identification Number locator(VIN). There are several locations on the vehicle where you will find VIN info: grill area, on the block, driver’s side door panel, passenger side firewall behind the battery, etc. I just purchased a used 2004 SLK32 AMG with only 29,000 miles on it, for a great price and mint condition. This is a fast and awesome performance car. After doing some additional research, I found that a common problem with this model and the C32 AMG was problems with the intercooler pump which has an affect on the supercharger creating loss of power. Have others experience this problem and was there ever a recall due to this problem. What do the letters; AMG………..stand for? 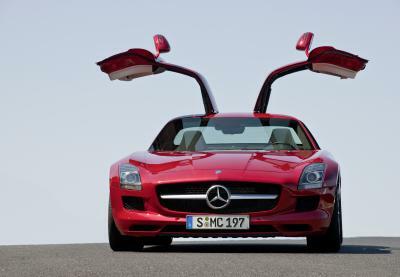 Read this article here on the History of AMG. In 2009, I purchased a used 2006 Mercedes-Benz 430AMG C-Class Sedan. the vehicle had surpassed the 50,000 miles bumper to bumper warranty. Presently, there is s problem with the emission, air conditioning, automatic doors lock and I am concerned that the dealership is charging over $4,700.00 to repair the car. Are there alternatives to such a high charge for maintenance? Yes I have owned 2 C32s it seems that occasionally on a drive my power acceleration is weak but only happens 10 percent of the time. Is this the intercooler prob? Email me if u can answer bswmax at yahoo. I recently acquired a 2005 CLK55 AMG. What an amazing car! It is refined, yet brutal; a silky smooth street cruiser, yet has the tightness and instant response of a track prepared car. The engine has absolutely no flat spot in the power band, just jaw dropping instant torque. The 5-speed transmission shifts instantly and is geared perfectly. The suspension is solid and tight, yet tuned perfectly for daily use, not teeth-jarring track tuning. The brakes have brutal stopping power. It is a wolf dressed in a tuxedo; mastery and beauty combined.